Ammo To Go Gift Cards make great gifts for holidays and birthdays! You may order and use Gift Cards for yourself, or for friends or family. We can send you a gift card in physical form or by email. There is no shipping charge for Ammo To Go Gift Cards, though it will take longer for physical cards to arrive. To redeem your Gift Card, simply input your Gift Card Code on our website during the checkout process. 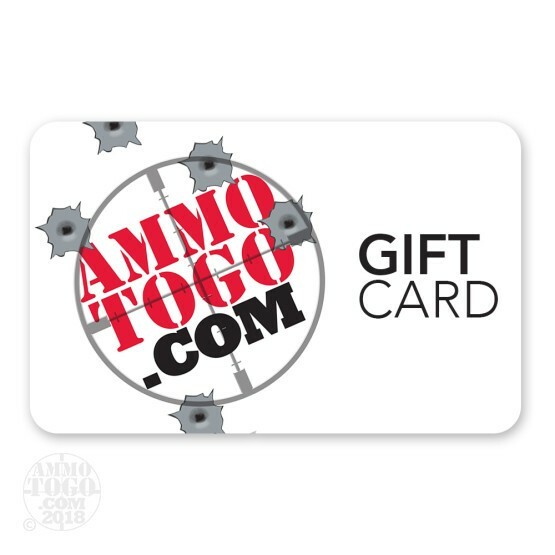 Items purchased with an Ammo To Go Gift Card will be charged normal shipping charges. Gift Cards are not redeemable for cash.